The wife and I were travelling along Jalan Anak Bukit this morning and managed to snap this picture of the Suites de Laurel site. The project has very little frontage to speak of, while the outer stacks are definitely waaaay too close to the main road/flyover for our liking. So we maintain our initial view that many of the units will be noisy. We apologize for the awkward photo angle - we were trying to capture as much of the project as we can from the inside of our car while sitting in traffic. Have a great weekend and vote wisely! 3 comments to ''Did someone ask about Suites de Laurel?" Thank you very much for the reviews! I'm a new home buyer and what attract me about Suites de Laurel are the location, unit size (bigger than shoeboxes) and $ psqft compared to the rest of D21..but what are your views on the pros and cons for it as an investment and a first house for DINKS or young working singles? 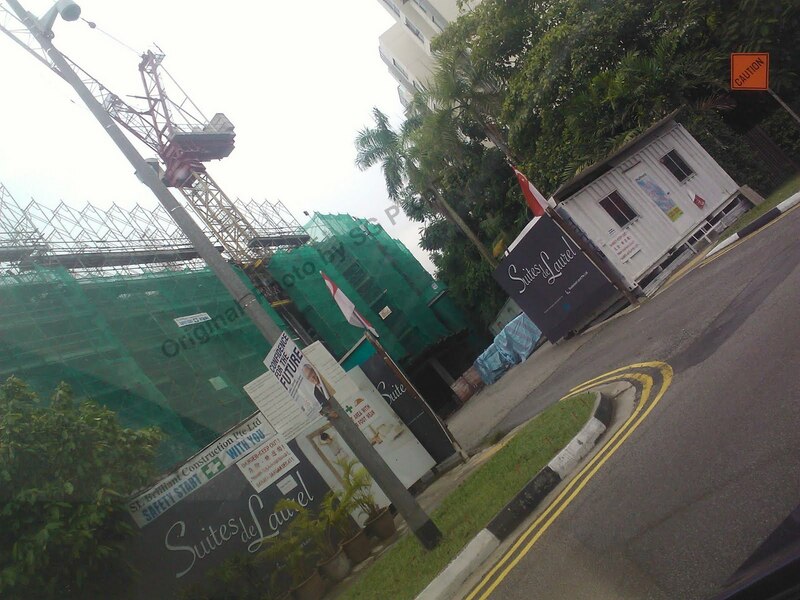 I'm also surprised that there is still unsold 700+sqft unit and it's not facing the road. Would like to hear your opinion if possible. Thanks! The pros and cons (as we saw it) were mentioned in our review on Suites de Laurel. Most of what we have said are probably still valid and we have nothing else to add (especially since we have not revisited the project after our review). And given that Suites de Laurel has been in the market for almost 2 years now, you may want to really investigate into why there are still unsold units and how many of them. Maybe what's left are just the few odd units with terrible facing or blocked views, but if there are indeed many unsold units left, that should set off a few alarm bells. That's about all that we can offer am afraid. Good luck on your search!